Each year, Primos maintains the hallmark that defines the company – quality. Today still, the company’s cameras give hunters the most reliable, most simple-to-use camera money can buy. It features its functions that matter. Primos are not making any designs with complications and allow the hunters to simplify their time in the woods. 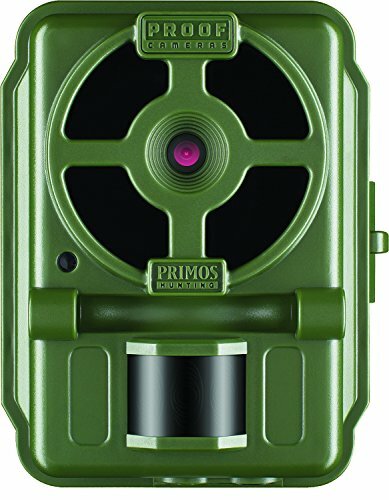 The following is the list of quality Primos cameras you could purchase and use in taking advantage of what the wildlife could offer. Get the best value out of what you purchased by using the Primos Bulletproof camera. This device is well-known as the simplest game or trail camera to use. You can take advantage of the product just by merely inserting batteries and SD card, and turning it on. You can use any type of SD card you want. It features 14, 850 nm low glow LEDs that has a night range of 30′. You can capture activities with its 1-second trigger speed with a 10-second trigger interval. It can provide you with 6-megapixel full-color daytime images and infrared night images. Also, it displays the date, time, and moon phase. Primos Bulletproof camera runs on 8 AA batteries that enable the device to function for nine months. The on and off button switch is effortless to determine. Daytime and night time pictures are of good quality. It takes too many unnecessary pictures. Date and time have to be set in a computer. It doesn’t stamp time as it should. This camera is simple if you have a PC. 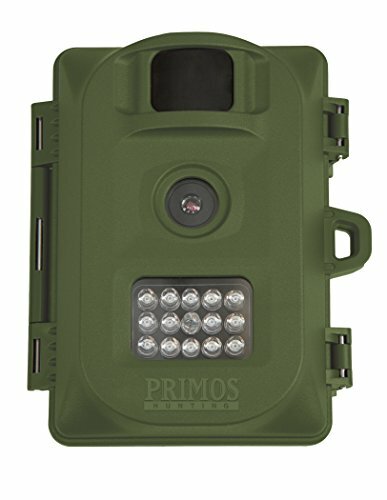 Primos Proof Cam 02 is built for one purpose – to give hunters what they want. It offers functions that matter and does not include extras. Features include photo, HD video with audio, and time-lapse. You could go with it in the woods and make it work just by merely inserting batteries and SD card and then turn it on. It takes 12-megapixel full-color daytime and infrared night images in a 0.4-second trigger speed. The camera changes settings to optimize pictures as the daylight transitions back and forth between light and dark. Primos Proof Cam 02 has 48, 850 nm low glow LEDs and a 100 feet night range. It runs on 8 AA batteries for nine months. Other than what it offers, Primos Proof Cam 02 features its auto-adjusting Passive Infrared (PIR) Sensor. Worrying about adjusting the settings is not necessary since the camera itself adjusts with different climates or situations. Quality of pictures is excellent. The IR range is phenomenal with night pics out to 100 yards. The contact design in the compartment battery is awful. The IR is a bit strong and washes out some of the pictures. 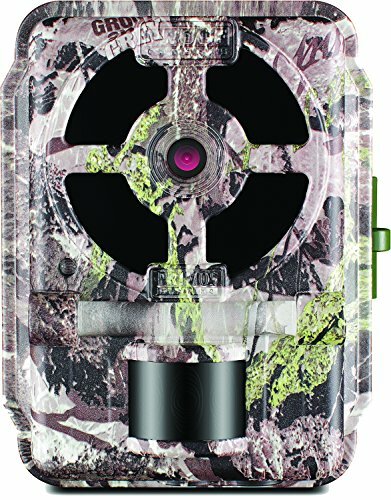 Get to see what is moving in the woods with this easy to use Primos Bullet Proof 2 trail camera. This is a “set it and forget it” type of camera that could be great for anyone. Insert 4 AA batteries and take advantage of its functions for as long as nine months. Features include photo and video. It can take 8-megapixel images, full color during the day, and black and white during the night. It has 14, 850nm low glow LED lights, and that can reach up to 45 feet as night range. Videos can be as clear at 720p. Capture every wildlife activity using Primos Bullet Proof 2 through its 1-second trigger speed. Easy to program the card on a computer. Daylight photos and videos are excellent. The camera picks-up anything and anyone who moves in front of the lens. It comes with a strap and a clasp for easy mounting. Night photos and videos are a bit grainy. SD card is required to transfer the pictures to a computer for viewing. You need a PC to set the date/time on first use. The reaction time is a bit slow. Like any other Primos camera, the Primos 63053 (Green) proof camera has a simple set up with slide switch settings. This camera has a fast trigger speed, capturing 6-megapixel full-color daylight images. With its 13 low glow LED lights, the flash reaches as far as 30 feet during the night and takes black and white photos. This requires 8 AA batteries to function. It is high impact plastic and has survived several drops onto hard surfaces. Great tool for hunters on a budget. There is only one setting for picture resolution. 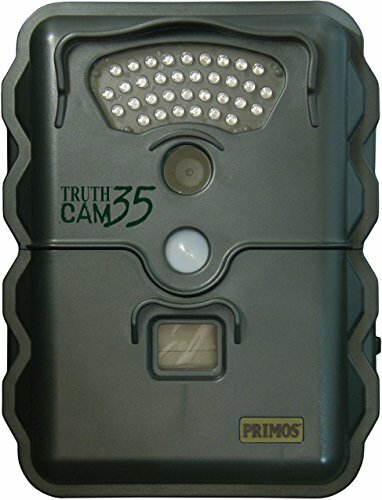 Primos Truth Cam 35 is designed to be your eyes in the woods. It has a thin, low-profile casing finished with a Matrix camo for concealment. It is equipped with a molded security cable hole to prevent theft. The camera has operational instructions printed on the camera door to provide convenience in the field. It has settings which are adjustable for your specific needs and conditions. 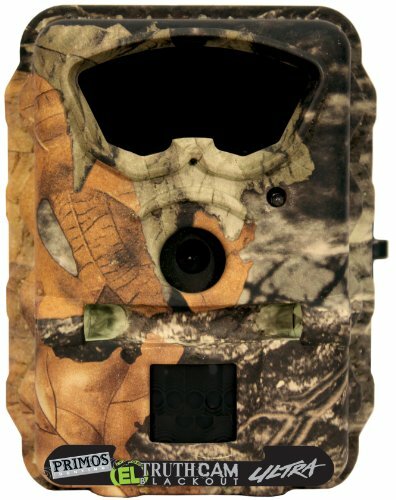 Like any other trail camera, this could capture photos and record videos. You can adjust the camera resolution and set the camera for multi-shot bursts of 1, 3, 5, 7, or 9 images per trigger. Photos are colored during the day and black and white at night. All images are stamped with information such as date, time, temperature, and moon phase. The camera has 35 infrared LEDs that can reach up to 40 feet as the nighttime range. Catch every moment in the stand with its 1.5 seconds trigger speed when in sleep mode and 0.3 seconds when active. Primos Truth Cam 35 features a backlit LED screen with a large easy to read menu settings which allows you as well to preview settings in the field. It supports 8 GB SD card, and it is powered with 4 D-cell batteries. It has password protection for theft prevention. Photo quality might start to degrade in the long run. The device might work intermittently after weeks of use. Swapping batteries require reprogramming the date and time settings. 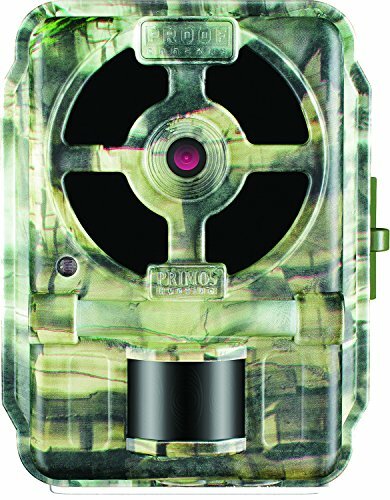 Experience your greatest hunting trip and document it using this Primos Proof Cam 03 – a great show off and learning tool for improvement. This camera is designed without any complications you don’t need. It is equipped with 60, 940nm blackout LEDs and the flash could reach up to 80 ft at night. This camera will provide 12 MP black and white images at night and full-colored photos during the day. You could record video with audio and capture every move in the wood with its 0.4-second trigger speed. Other than the functions photo and HD video, the camera could set to time-lapse. Primos Proof Cam 03 runs on 8 AA batteries with an estimated battery life of 9 months. Easy to set up and check. Daytime and night time pictures are good. The motion detector is reliable. Can work under temperature down to -40 for months. Night pictures might not be so clear. Close up photos are extremely washed out. The PIR motion detector might often to fire the camera a bit late. High resolution gulps down battery life. The video is best at a minimum of 10 seconds. Truth Cam El Blackout – undetectable. Get your properties guarded and document wildlife activities without providing any disturbance and awareness. This camera is undetectable, completely stealthy, no flash, no glow, no light. It is equipped with the Early Detect PIR sensor which has a 45 degrees field of view that picks up every motion immediately. It has 1-second trigger speed, so you do not miss anything walking or moving in front of your camera. It could capture 4-megapixel images and record videos with sound. Other than that, it could also be set up to time lapse. Primos Truth Cam El Blackout has 60 LEDs and has blackout LED filter technology. It has a night range of 35 ft, and it is powered by 8 AA batteries with the estimated battery life of 8 months. This camera is great for surveillance. The camera is very quiet, totally silent. Date, time, temperature, humidity and all are on the image. Night pics are a bit blurry. The motion sensor is a bit slow. Battery issues might be encountered. Simplify your time in the woods and make Primos Proof Cam 01 do the work. 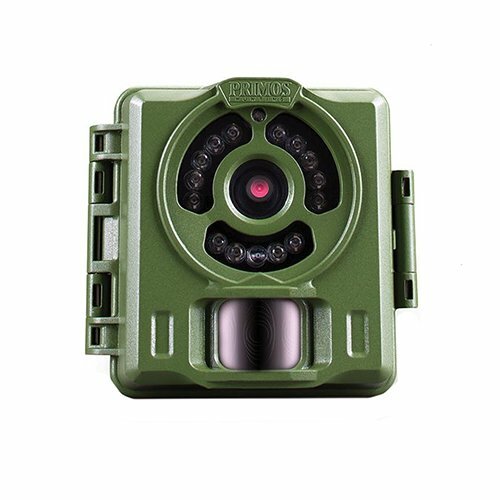 Track and monitor wildlife activities in their habitats using this camera with the functions that matter. The features include photo, HD video with sound, and HD time-lapse. It provides you with 10-megapixel full-color images during the day and black and white during the night. It is equipped with 36, 850nm low glow LEDs that offers 70 ft night range. Supply this camera with power form 8 AA batteries, and it will run for nine months, doing the documentation for you. No programming, flip the switches that you want and it goes to operate. It has great detail in the photos. Batteries last forever when you have it set right. Trigger speed and recovery time are fast. It’s not always easy to tell if it’s on or off. The sensor might be too sensitive.